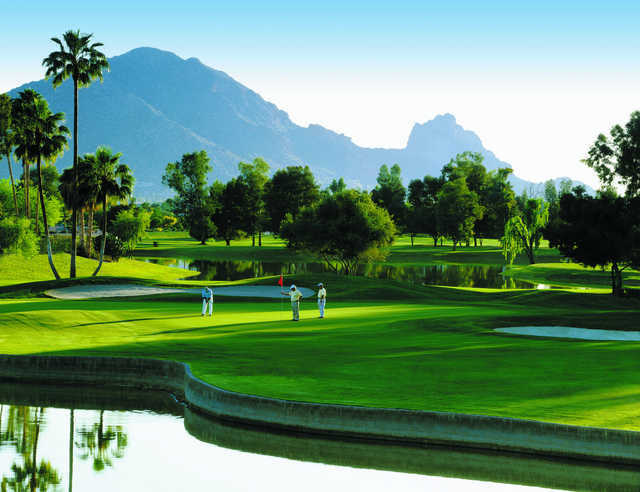 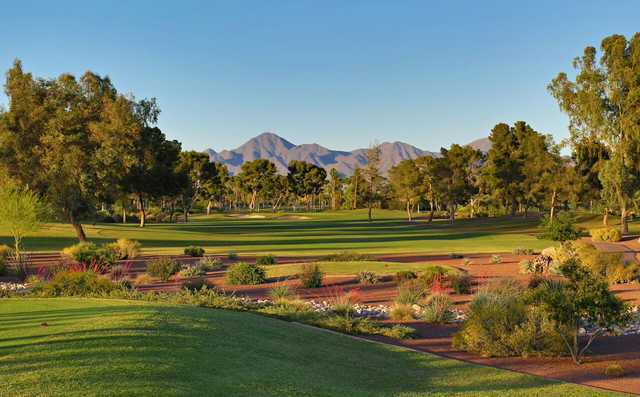 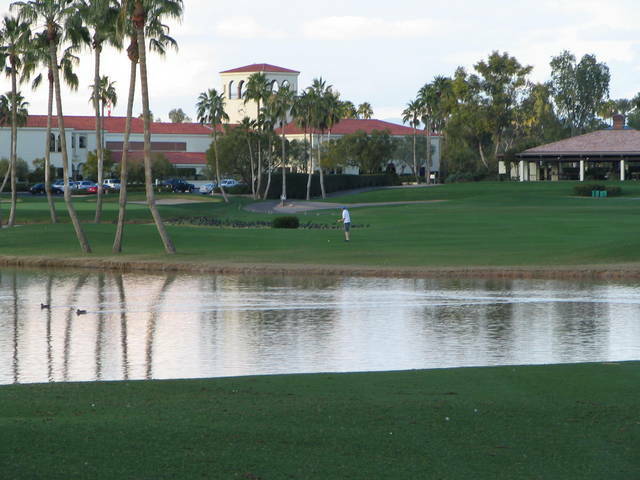 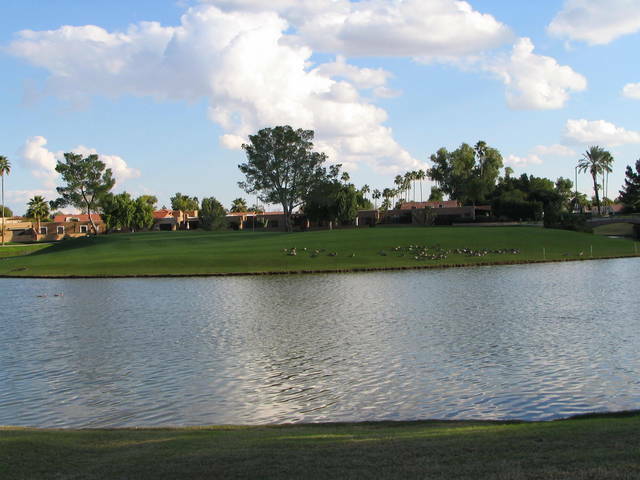 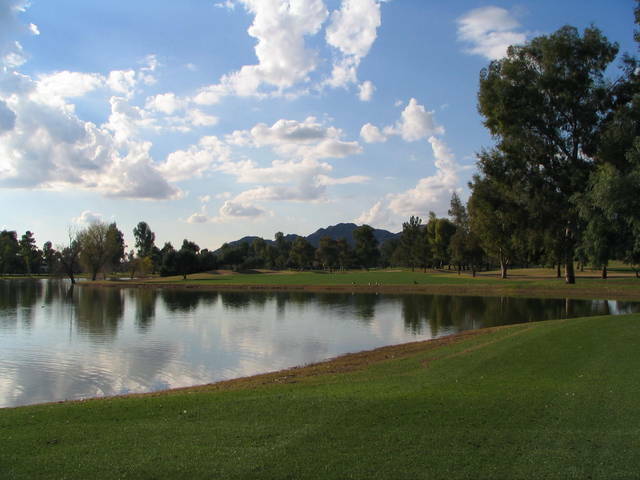 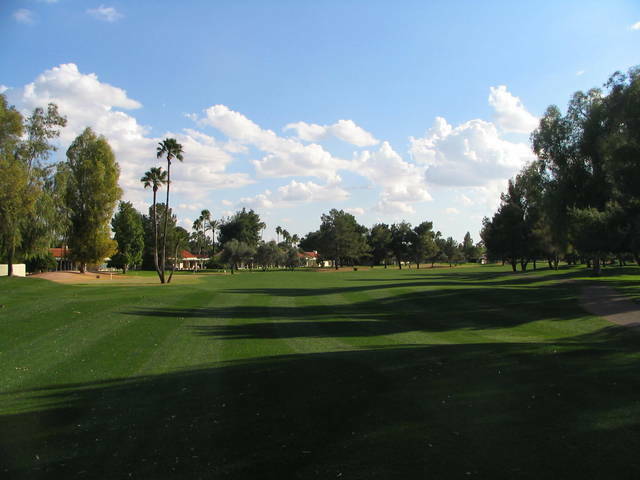 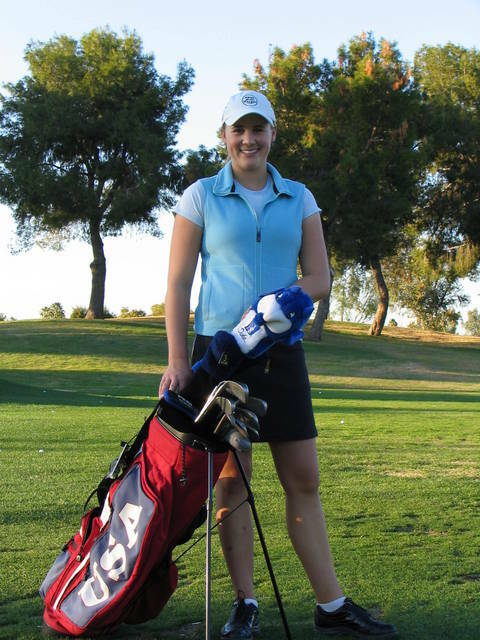 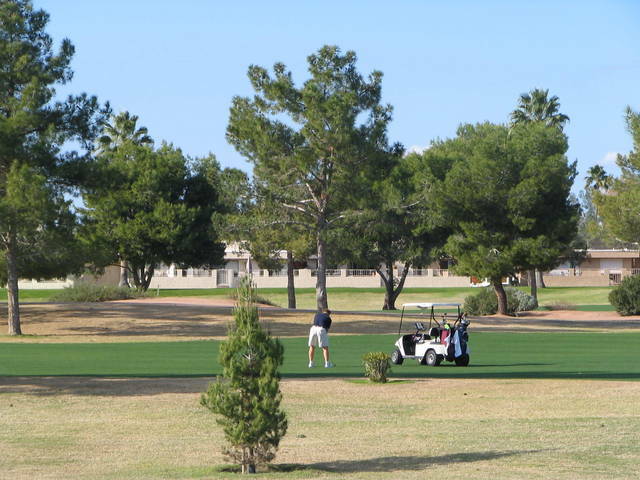 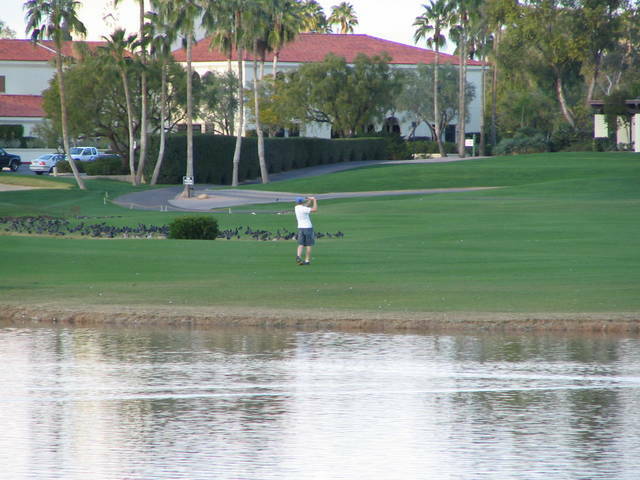 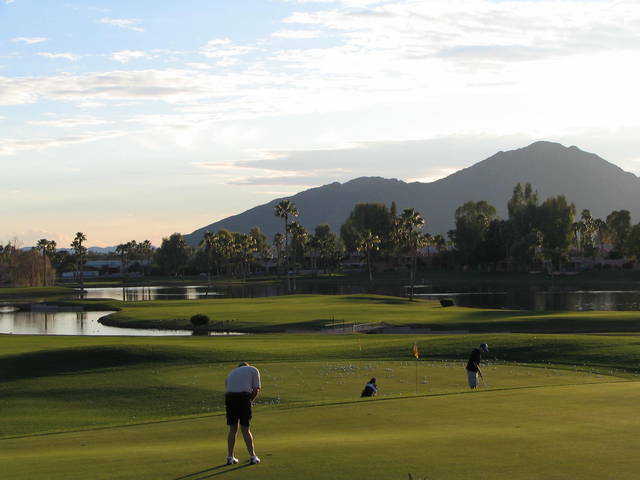 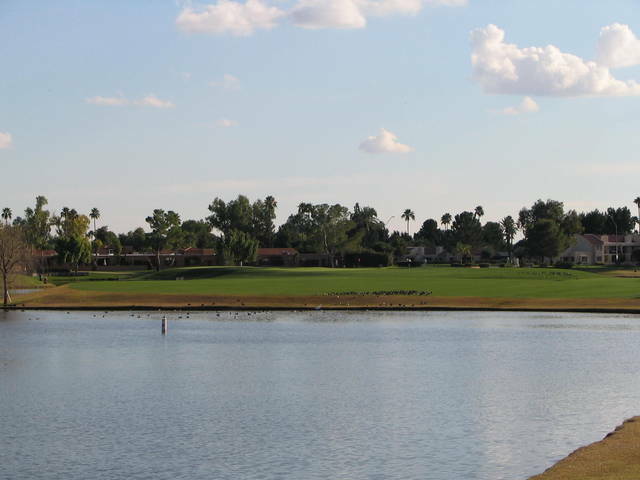 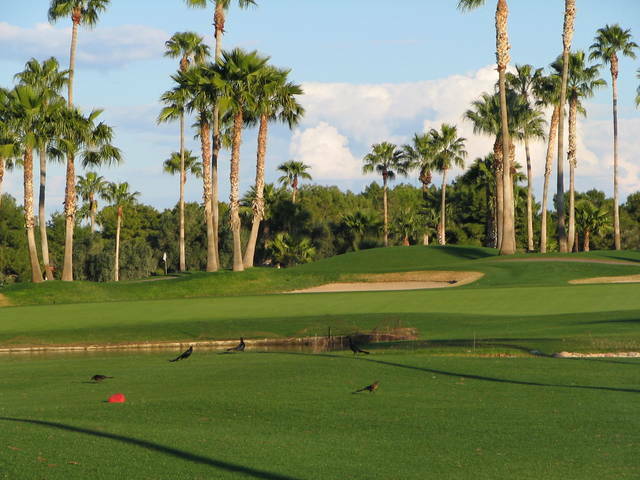 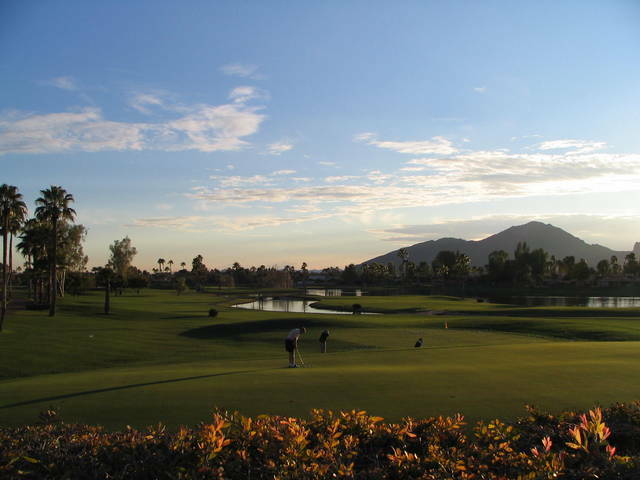 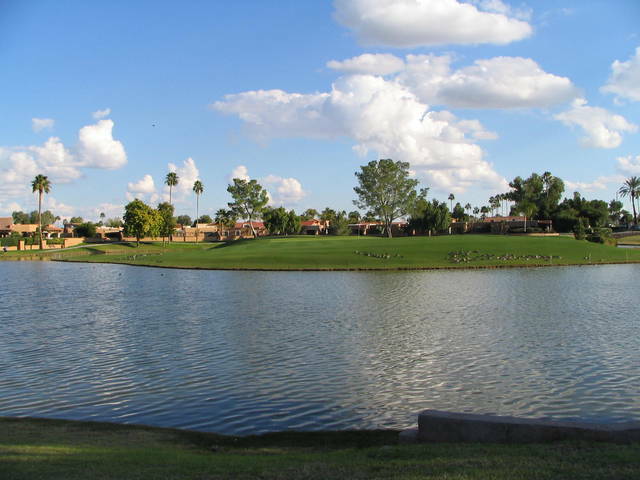 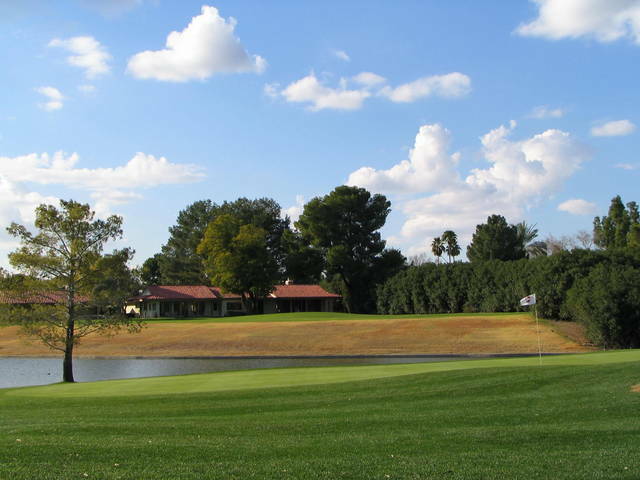 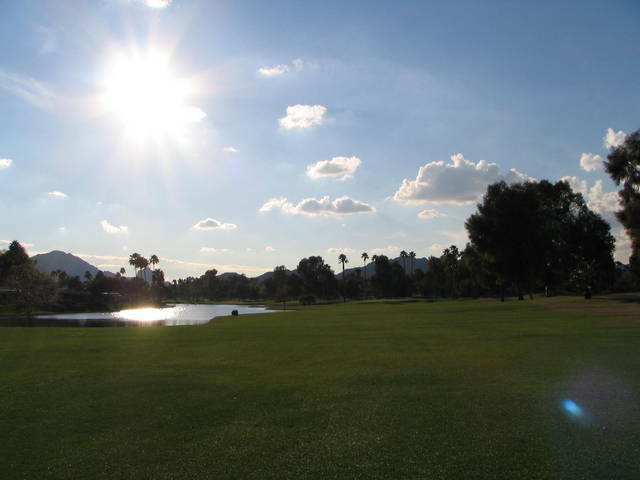 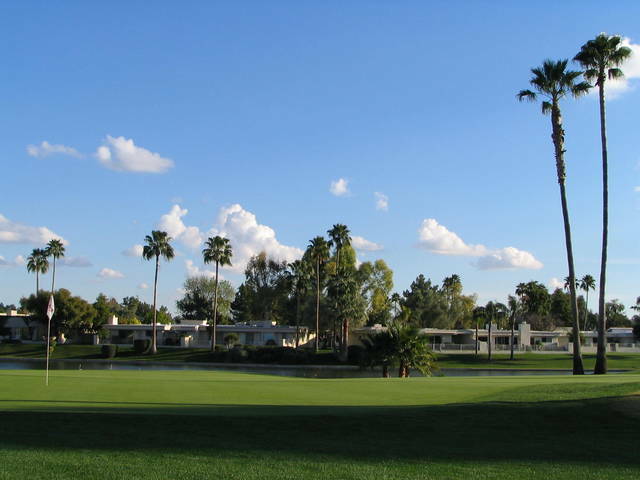 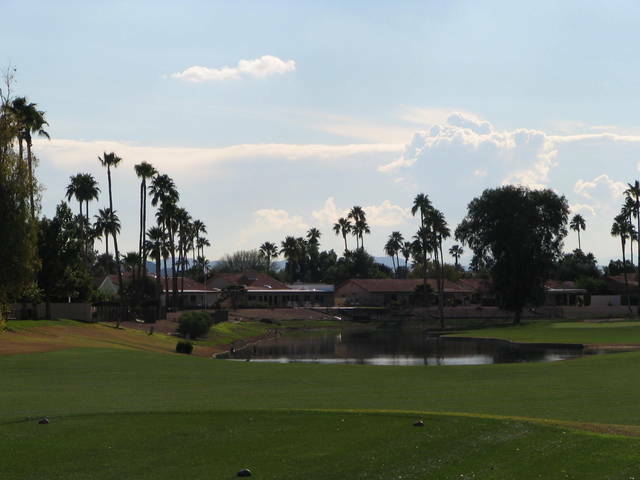 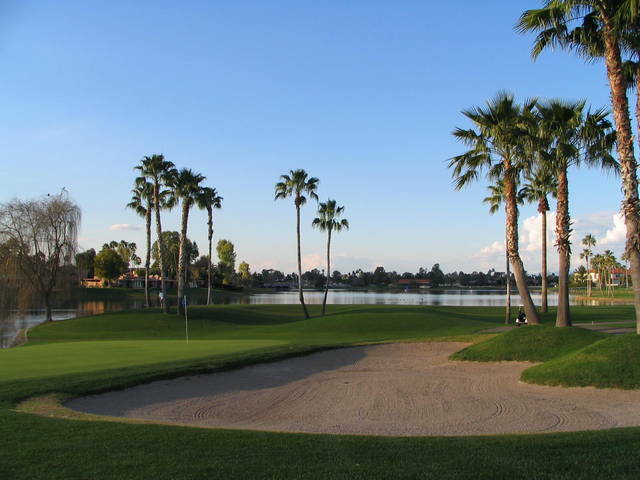 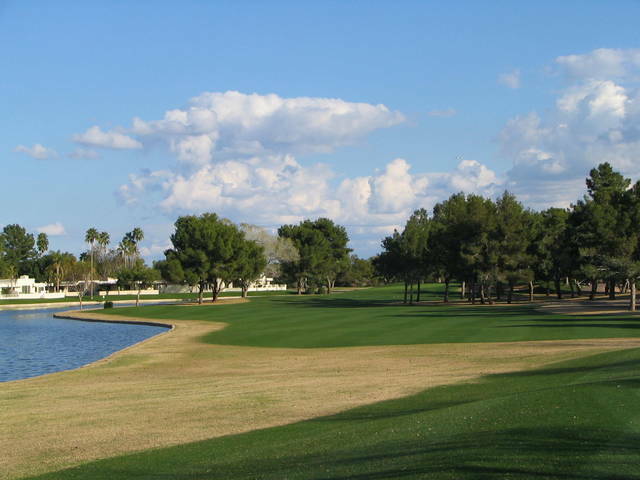 The McCormick Ranch Golf Club has two outstanding 18 hole golf courses and is similar to what you'd find on the east coast and in the Midwest. 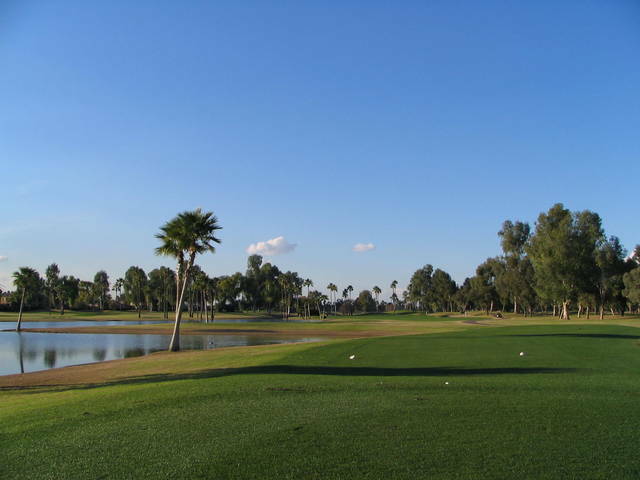 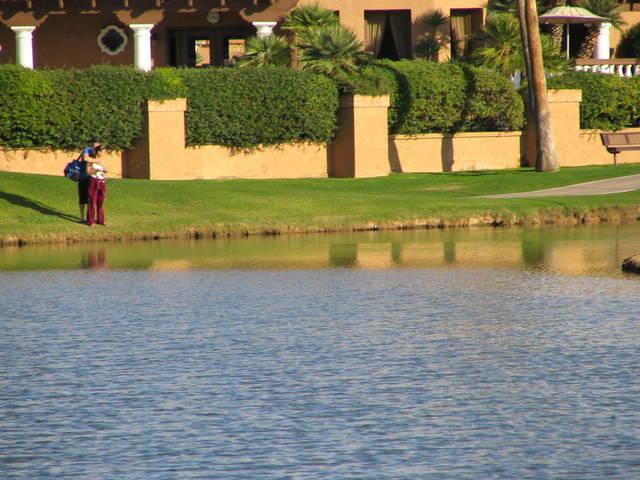 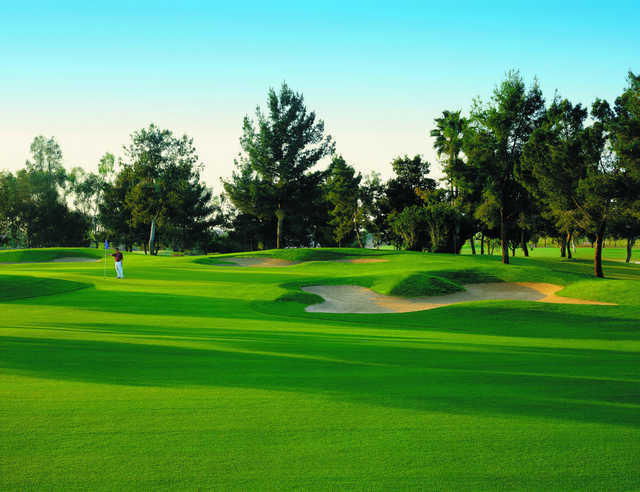 These two courses have all of the traditional features: sand, water, mature trees and long drives off the back tees. 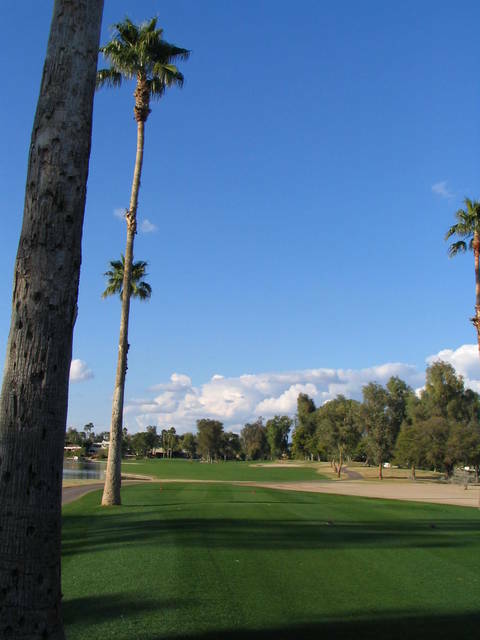 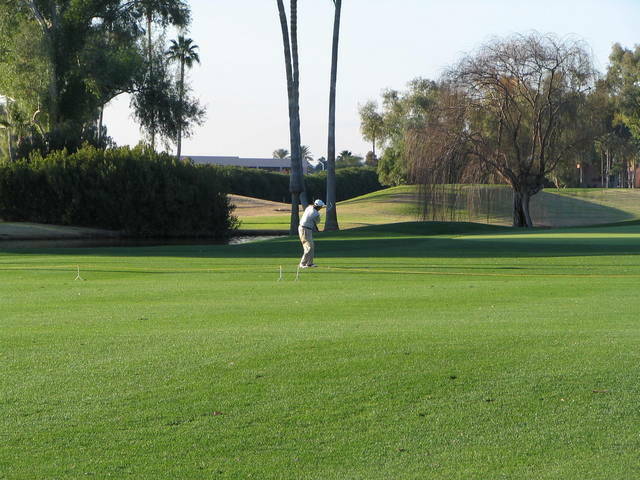 McCormick's Pine Course has mature pine trees and is a bit narrower than the Palm. 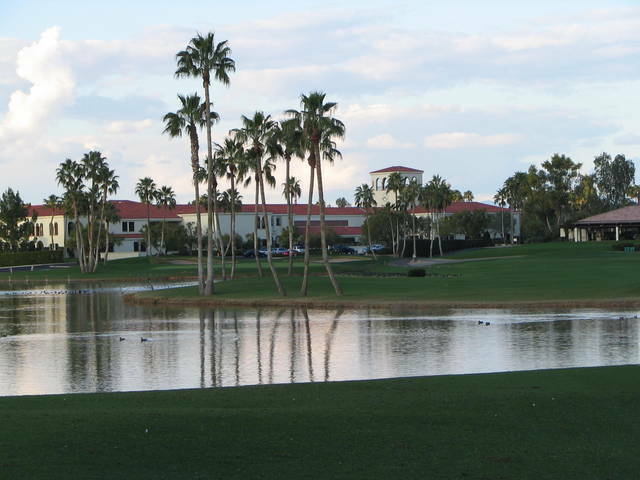 Both the Pine and Palm courses lie next to each other at McCormick Ranch, where Arabian horses and Angus cattle roamed decades ago. 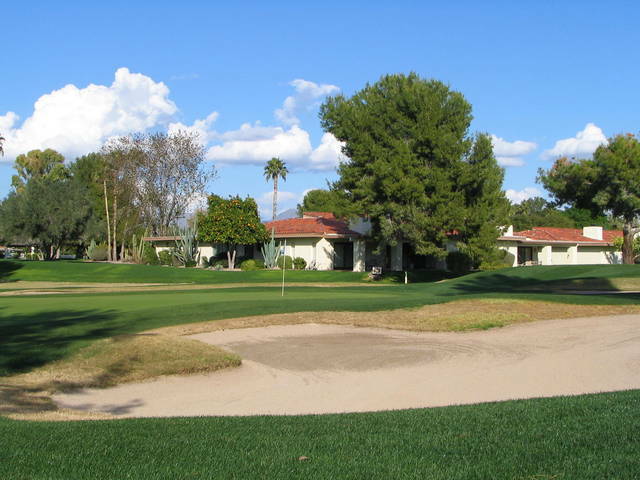 Both were built in the early 70s by Desmond Muirhead, a British designer who claims to have dubbed the term "golf course community" and is oft referred to as the "mad scientist of golf." 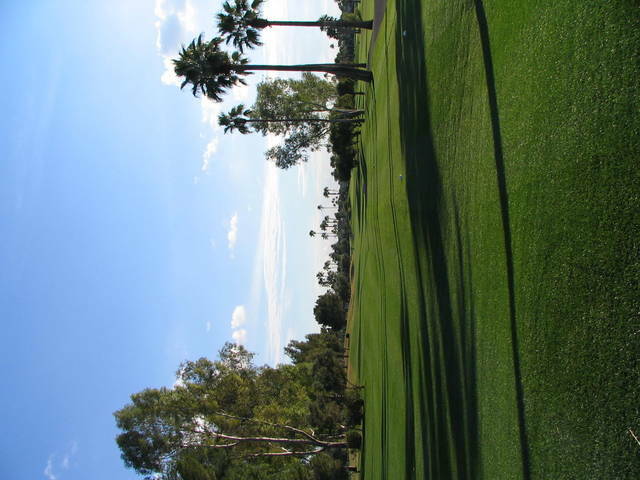 Both courses are nevertheless very straightforward, yet surprisingly difficult. 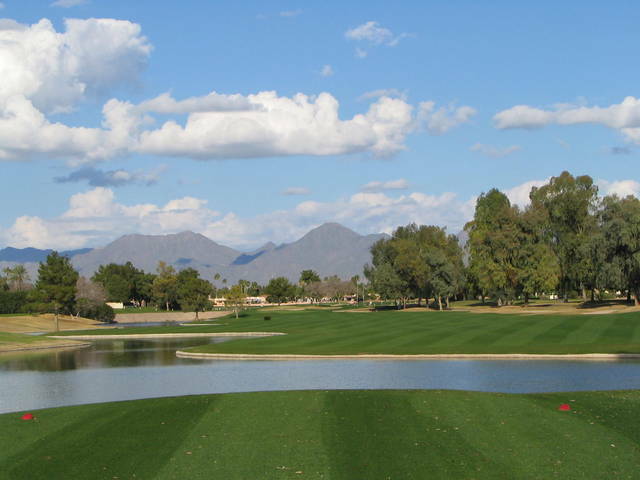 This is one of my favorite courses in the valley.